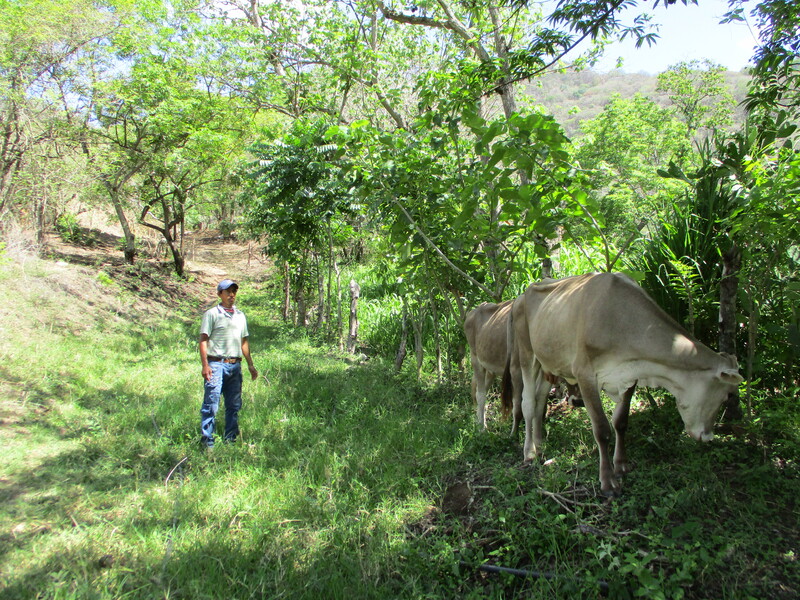 Livestock farming is one of the most important productive activities in Mexico. However, traditional livestock production has caused deforestation and loss of biodiversity, worsening the effects of climate change. In this context, the project Biodiversity and Sustainable Agrosilvopastoralist Livestock Landscapes, known as BioPaSOS, promotes the use of agrosilvopastoral practices that support biodiversity conservation through the development of climate-smart livestock (CSL). The BioPaSOS project is implemented by CATIE (Tropical Agricultural Research and Higher Education Center) in conjunction with the Inter-American Institute for Cooperation on Agriculture (IICA) in three intervention areas in the states of Jalisco, Campeche and Chiapas. In Jalisco, its actions are focused on the municipalities of Zapotitlán de Vadillo, Tuxcacuesco, Tonaya, Toliman, El Limón, Autlán de Navarro, Cuautitlán de García Barragán, Villa Purificación, La Huerta and Tomatlán; in Campeche, in the municipalities of Calakmul, Escárcega and Champotón; and in Chiapas, in the municipalities of Villaflores, Villa Corzo, Arriaga, Cintalapa, Jiquipilas, Arriaga and Tonalá—all of which form part of the Sepultura Biosphere Reserve (REBISE-CONANP). BioPaSOS works in partnership with different local actors, mainly livestock producers. 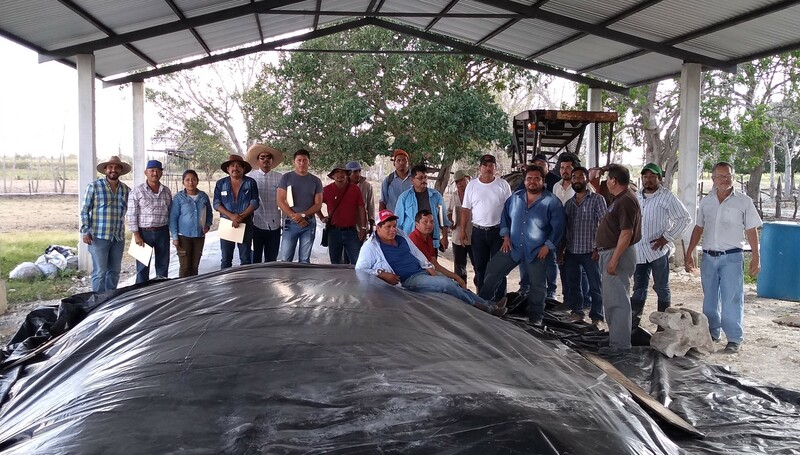 To date, it has strengthened the capacities of more than 1000 livestock producers and technicians through Farmer Field Schools (FFSs): 19 in Jalisco, 23 in Campeche and 30 in Chiapas. The implementation of the FFSs has supported the execution of participatory appraisals of production systems, which help identify the limitations of productive systems from the perspective of farmers. Additionally, important alliances have been created with livestock producers to establish demonstration modules that function as training and replication centers. Through its intervention areas, BioPaSOS promotes a research agenda with academic and research centers that helps identify knowledge gaps and supports decision making. As part of this agenda, it coordinates bachelor- and master-level research. Photo: BioPaSOS, CATIE. 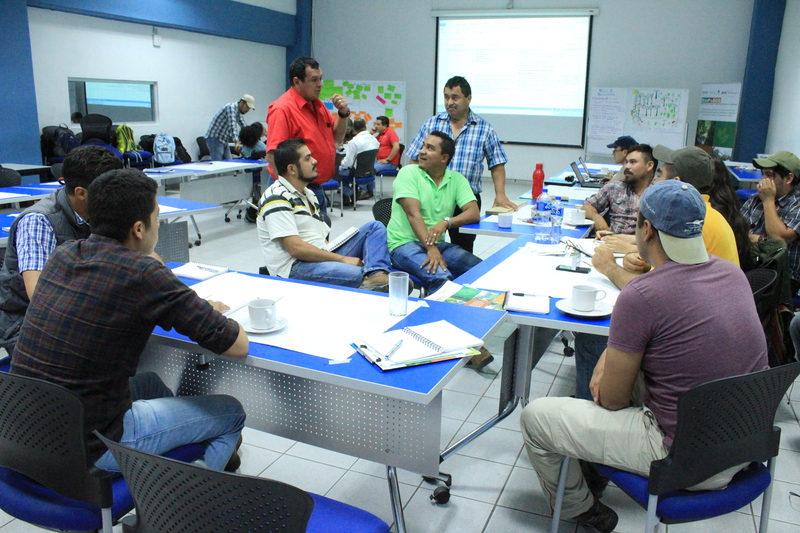 Livestock producers from Campeche participating in the Farmer Field School. This article belongs to the Tropical Agricultural Research and Higher Education Center (CATIE). Its content is the sole responsibility of the author.